Thanks to its success in 2014, our "Tribute to John Williams" concert returns to Madrid this coming Christmas. 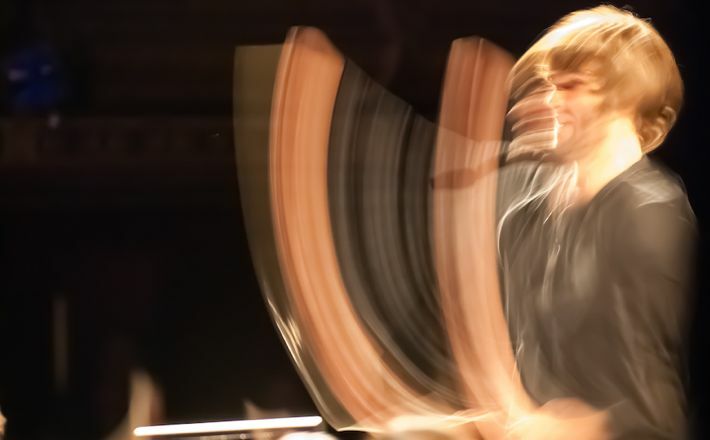 On this occasion, the concert will take place at the Teatro Real of Madrid and will again be conducted by Lucas Vidal, the young Spanish composer/conductor who is conquering Hollywood. Vidal will conduct the Barbieri Symphony Orchestra along with various soloists. There will be only one concert, the Christmas special on Friday, December 25th. As seen last year, Christmas is the ideal time to share Williams' awe-inspiring music with the whole family. This show is also a phenomenal way to show a young and diverse audience how entertaining symphonic music can be. Imported from the USA by High C Consulting, the show is based on the concert that John Williams himself conducts every year. It will take the audience through a musical and visual journey of the works of the master of soundtracks. After a nearly six-decade career with 49 Oscar nominations, John Williams has become one of the most important composers of the modern movie soundtrack, having written some of the most emotive melodies representative of the twentieth century: Indiana Jones, Star Wars, Superman, ET, Jurassic Park, Harry Potter, and Schindler's List, among others. Williams' music will not only be accompanied by screenings of scenes from the movies but also will be seasoned with images that Williams himself narrates with his good friend, director Steven Spielberg – anecdotes about the films that have been the result of their long and prolific collaboration that has lasted over the past 43 years. Additionally, the audience can count on the appearance of several characters from Star Wars. The concert will have a solidarity component, which will focus on working with AVIATION WITHOUT BORDERS, a declared public utility by the Ministry of Interior. John Williams (New York, 1932) is, with 49 nominations, the artist and/or composer with the second most nominations in Oscar history (second only to Walt Disney), winning five statuettes. Also, throughout his nearly six-decade career as a composer for film, he has accumulated a total of 21 Grammy Awards (63 nominations), 4 Golden Globes (25 nominations) and 3 Emmys (6 nominations). Williams is a living American music legend, and the last great master of Hollywood. A composer who initially wanted to devote himself to piano performance, Williams, thanks to his enormous talent, eventually became one of the most successful composers of all time – a success due in part to his friendship and creative compatibility with Steven Spielberg and George Lucas, who knew how to respect and unleash his genius. Much of his musical legacy is part of our collective memory. With his ability to convey feelings and intelligence of the directors he worked with, we were able to enjoy memorable cinematic moments. Williams excellently represents the evolution of classic Hollywood, along with the taste and predilection for the symphonic form. That being said, John Williams is much more than that. He is a composer, true, but above all, he is the composer of emotions that have accompanied us all throughout our lives. Lucas Vidal, a young conductor and composer who will also being making his Teatro Real debut, will be directing the orchestra at this concert. Vidal is, despite his youth, one of the greatest exponents of the soundtrack compositions worldwide. Born in Madrid and currently living in Los Angeles, Vidal made history by becoming, being only 28 years old, the youngest author of a Hollywood blockbuster soundtrack, thanks to his work on "Fast And Furious 6". He studied composition and conducting at Berklee College of Music (Boston) and The Juilliard School (New York), and quickly began to gain experience in Hollywood (BSOs of "The Raven" with John Cusack, and "The Cold Light day" with Bruce Willis and Sigourney Weaver). In Spain he composed the soundtrack for "Sleep Tight" by Jaume Balagueró, and is currently working on the music for the new film by Isabel Coixet. The Barbieri Symphony Orchestra comes at the hand of a group of young musicians with an entrepreneurial spirit who sought to modernize the concept of classical music in Spain, making it more approachable for everyone while also combining it with other artistic disciplines. It has emerged as an orchestra of high quality, able to accommodate the aspirations of a great generation of Spanish performers from the best Spanish orchestras. The show will also feature a wonderful collaboration with the internationally recognized Spanish violinist, Leticia Moreno. Internationally acclaimed for her exquisite musicality and expressiveness, Leticia Muñoz Moreno was honored in 2012 by HRH Prince Felipe of Spain with the prestigious "Prince of Girona" award, and ECHO RISING STAR chosen by the European Community. Winner of several of the most important international competitions, she has performed with well known directors such as Zubin Mehta, Yuri Temirkanov, K.Penderecki, V. Spivakov, M. Vengerov, I. Bolton, P. Steinberg and J. López Cobos, among others, and with major orchestras worldwide. In the 2014-2015 season, she made her debut with the Washington National Symphony Orchestra at the Kennedy Center at the hand of Christoph Eschenbach, who has worked closely with the Houston Symphony under the baton of Andrés Orozco-Estrada. Leticia just published, under the prestigious Deutsche Grammophon label, her second album, entirely dedicated to Shostakovich. Leticia will interpret Schindler's List, a masterpiece film, whose soundtrack is, according to many including Steven Spielberg, John Williams most important and poignant composition of his career. Born in Madrid, he began his studies with soprano Emelina Lopez and tenor Alfredo Kraus, and graduated from the prestigious Peabody Conservatory (USA) and the "Young Artist Program" of the Washington National Opera. Lozano has taken part in the prestigious Operalia Singing Competition where he obtained, for the first time in the history of the contest, three of its awards. Lozano's repertoire includes major opera roles in La Traviata, Manon, L'Elisir d’Amore, La Flauta Mágica, Lucia di Lammermoor, Die Fledermaus (El Murciélago), Don Giovanni, La Bohème, Rigoletto, as well as the Zarzuelas repertory. In the United States, Lozano has sung leading roles with Washington National Opera, Los Angeles Opera, Palm Beach Opera, Baltimore Opera, Carnegie Hall in New York and the National Symphony Orchestra of the United States. In Europe, Lozano has sung in several major theaters, including Madrid, Barcelona and Vienna, where he shared the stage with Placido Domingo in "Luisa Fernanda" and "Il Postino". Tickets will be on sale within the next couple of weeks. If you would like to be notified about ticket sales and have priority access, please fill out the form below.